The demonstration of a solution to Challenge No. 30 in Challenge Mode becomes unlocked for all characters. NOTE: This is automatically unlocked for individual characters upon completing their Challeng No. 30. 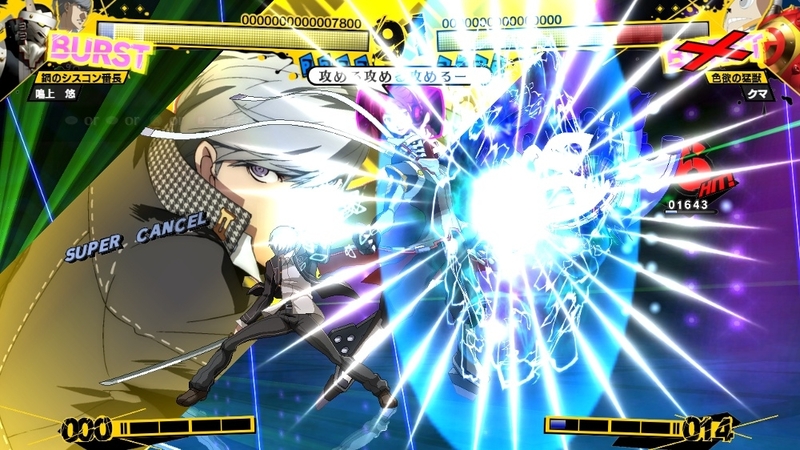 Additional colors for Yosuke, Aigis and Labrys. Each character will have 8 new colors, 2 of which can only be used offline. 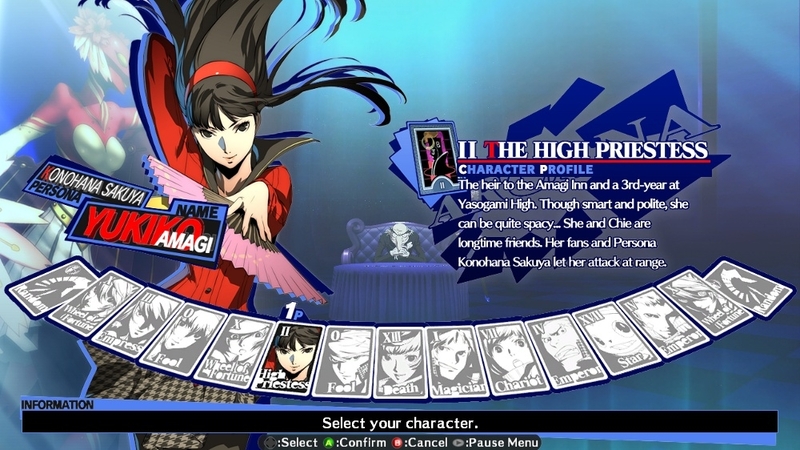 A total of 48 colors including each character's Persona is included. NOTE: This DLC item is included in the "Additional Colors Full Pack." 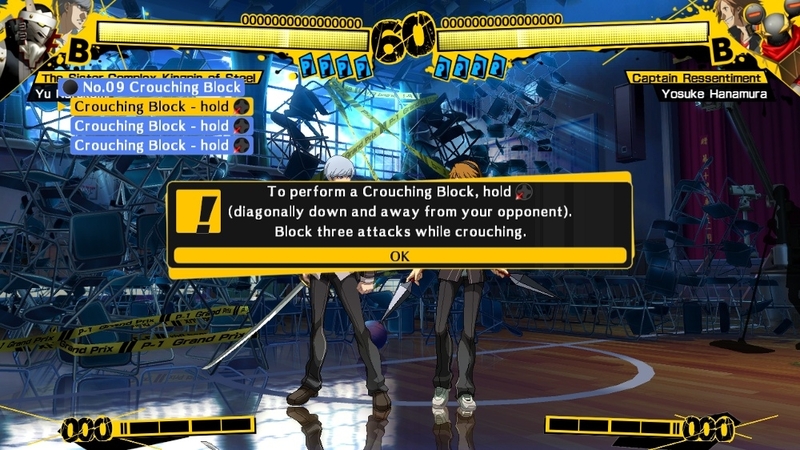 Battle navigation voice for Nanako (selectable in Versus Mode and Network Mode). NOTE: This feature can also be unlocked by playing the game. 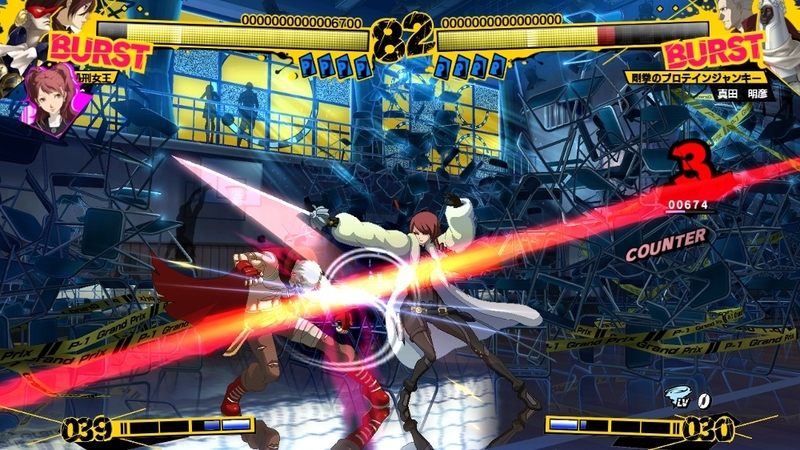 Additional colors for Kanji, Mitsuru, Elizabeth and Shadow Labrys. Each character will have 8 new colors, 2 of which can only be used offline. 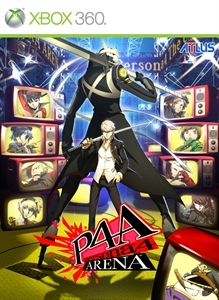 A total of 48 colors including each character's Persona is included. NOTE: These colors are included in the "Additional Colors Full Pack ". There will be no changes even if the content overlaps. 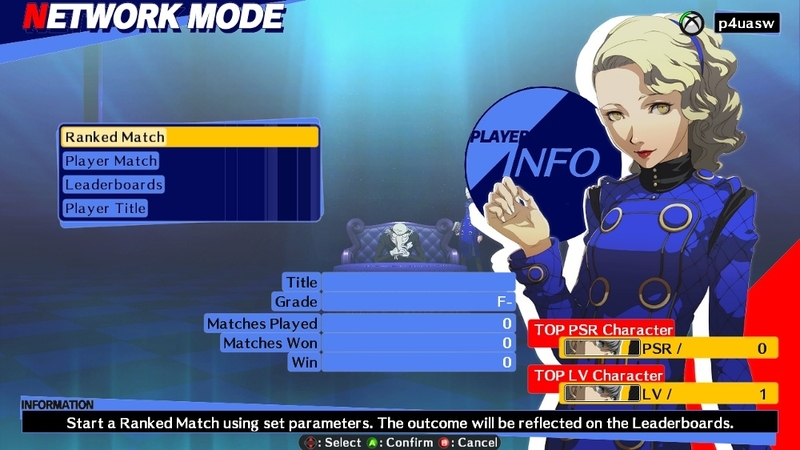 Battle navigation voice for Mitsuru (selectable in Versus Mode and Network Mode). NOTE: This feature can also be unlocked by playing the game. 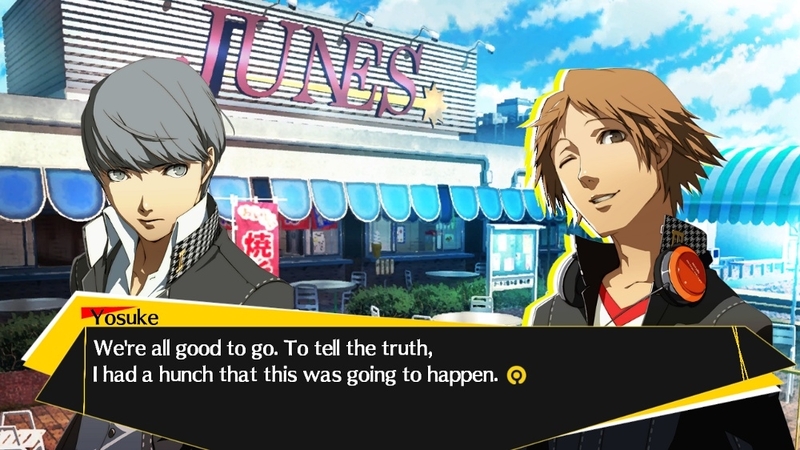 Battle navigation voice for Yosuke (selectable in Versus Mode and Network Mode). NOTE: This feature can also be unlocked by playing the game. Glasses for Chie, Naoto and Akihiko. When selected, the corresponding character will wear glasses during battle. A total of 48 glasses data is included. NOTE: This DLC item is included in the "Additional Glasses Full Pack." Glasses for Yu, Yukiko and Teddie. When selected, the corresponding character will wear glasses during battle. A total of 48 glasses data is included. NOTE: This DLC item is included in the "Additional Glasses Full Pack." Glasses for Kanji, Mitsuru, Elizabeth and Shadow Labrys. When selected, the corresponding character will wear glasses during battle. A total of 48 glasses data is included. NOTE: This DLC item is included in the "Additional Glasses Full Pack." Glasses for all the characters. When selected, the corresponding character will wear glasses during battle. A total of 208 glasses data is included. NOTE: This DLC item is a combination of Glasses Pack #1-4. These glasses packs can also be bought individually. 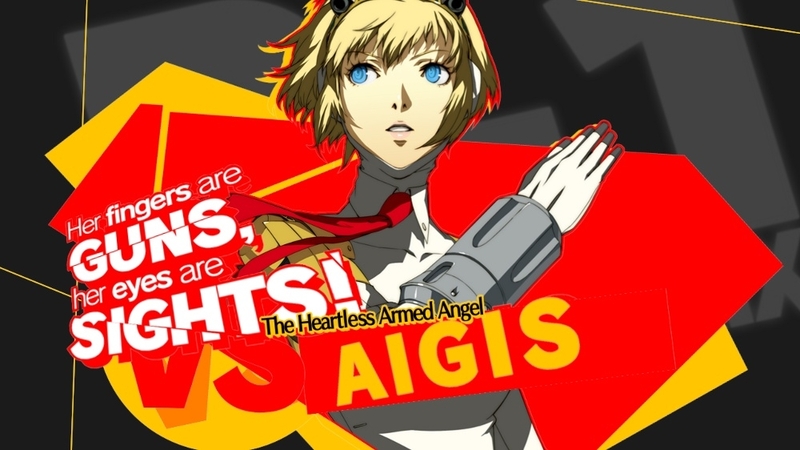 Battle navigation voice for Aigis (selectable in Versus Mode and Network Mode). NOTE: This feature can also be unlocked by playing the game. 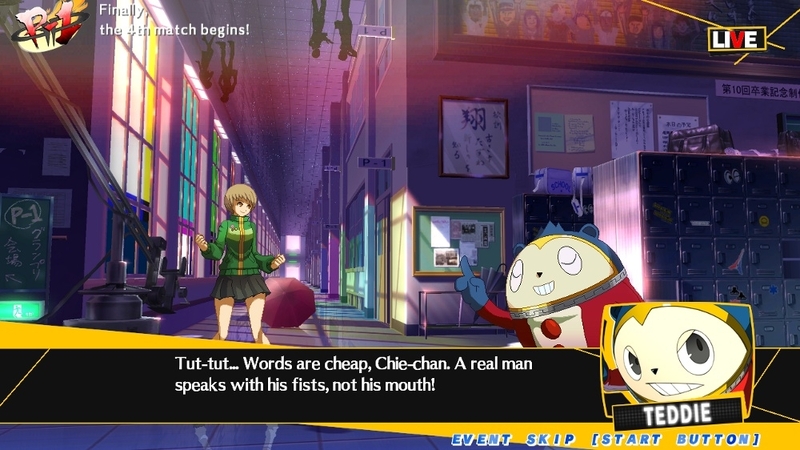 Battle navigation voice for Teddie (selectable in Versus Mode and Network Mode). NOTE: This feature can also be unlocked by playing the game. 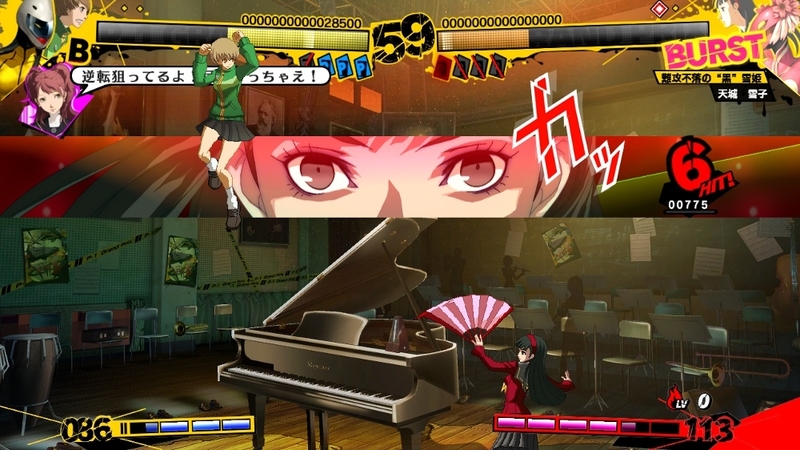 Additional colors for Yu, Yukiko and Teddie. Each character will have 8 new colors, 2 of which can only be used offline. 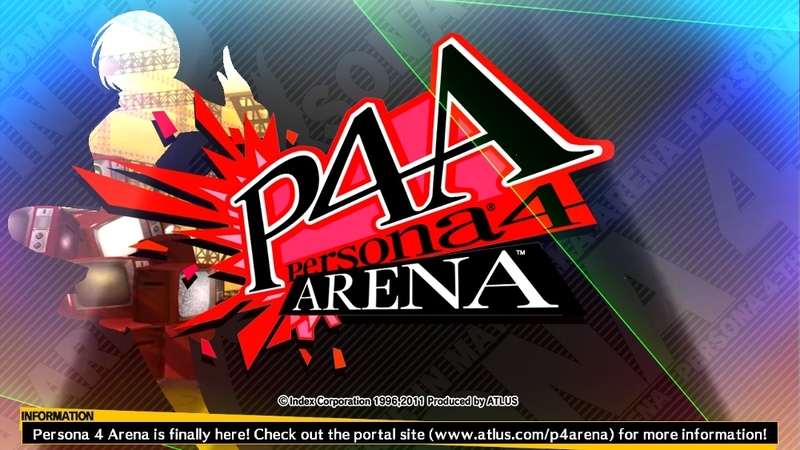 A total of 48 colors including each character's Persona is included. NOTE: This DLC item is included in the "Additional Colors Full Pack." Glasses for Yosuke, Aigis and Labrys. When selected, the corresponding character will wear glasses during battle. A total of 48 glasses data is included. NOTE: This DLC item is included in the "Additional Glasses Full Pack." Battle navigation voice for Fuuka (selectable in Versus Mode and Network Mode). NOTE: This feature can also be unlocked by playing the game. Additional colors for all the characters. Each character will have 8 new colors, 2 of which can only be used offline. 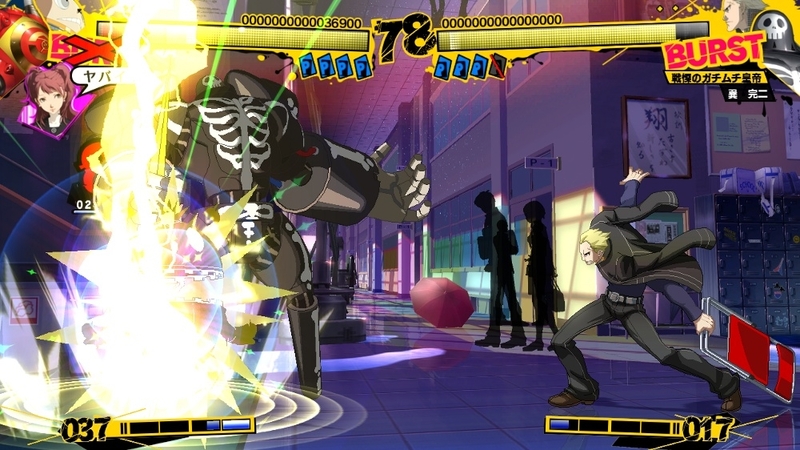 A total of 208 colors including each character's Persona is included. NOTE: This DLC item is a combination of Additional Colors Pack #1-4. It does not contain any other new colors. These color packs can also be bought individually.